The key to successful pigeon racing lies in good pigeon health, which you won’t achieve if pigeon housing is poor. Thomas Smit presents a beginner’s guide to building an effective racing pigeon loft. 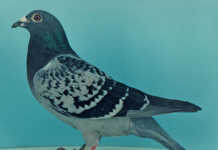 Pigeons are no longer “the poor man’s racehorses”. These days there’s big money to be won in racing pigeon events like the Sun City Million Dollar Pigeon Race, and ambitious fanciers can compete with the best in the world. But if you want to get anywhere, it’s time to pull down that backyard shack you optimistically call a “pigeon loft”. You won’t breed quality racing pigeons there. 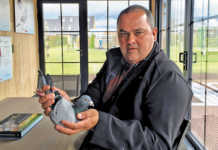 The key to successful pigeon racing is good pigeon health, which you won’t achieve with poor loft conditions. To say that pigeons living in church squares or rooftop hide-outs have a better genetic resistance to disease thanks to “survival of the fittest” is absolute nonsense. More importantly, it’s beside the point. We’re talking about racing pigeons here – domesticated animals that need proper shelter and a clean environment for survival. If you visit fanciers in Europe, you’ll see how the “pigeon mansions” are invariably part of the upper structures of their houses. In Taiwan, where backyard space is a problem in most suburbs, pigeon lofts are built in the most unusual places. 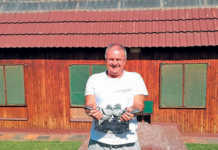 In Lynnwood in Pretoria, Antonie Visser’s pigeon loft is part of his house, complete with a TV room and reception area. Next door, Jan Malan’s loft is built of brick and complements the main house. Jan planned the loft in such a way that, when he retires, the interior can be removed to create a second home on the property. Many other South African fanciers have done the same – built lofts that can later be easily changed to add value to their property. Some things to think about before taking the plunge: If you move often due to business, you should build a loft that can be easily dismantled. The loft sections, frames, panels, roofing and so on should be designed for easy transportation – you shouldn’t need an army to “relocate” the loft. The climate of the area where you live is also important. In cold areas, you’ll need building materials that insulate and capture warmth, while in warmer climates, you’ll need a steady flow of cool air. An adjustable enclosed ceiling for winter and a mesh ceiling for warm summers are a bonus. Ventilation is extremely important. Your loft design should facilitate the influx of fresh air and removal of stale air. Ideally, airflow should enter at the lowest point at the front and exit at the highest point at the back. A pitched roof forms an air pocket above the ceiling that will help remove stale air. Your design should also keep the rain out and should keep the loft dry and free from draughts at all times. A draught is a different proposition from a steady movement of fresh air. If you live on a farm, you might need to protect your loft against predators. Aside from welded mesh, mounting your loft on pillars above the ground is another option. This will also ensure good ventilation. If you have the yard space and available time – or loft staff to assist with the demands of competitive pigeon racing – and you intend to become the future champion of your area, you need to keep enough pigeons to achieve your goal. Playing it big demands fresh ammunition on the long distance races to allow the participating pigeons enough rest between flights. Plus, if you want to compete in two clubs simultaneously and enter a second team of racers to test your pigeons properly, you’ll have to keep enough breeders and enough lofts to house them and their new young. When you’re playing it big, pigeons can be housed in a 22m-long loft with 12 interior compartments of 1,8m x 2,4m each. If you’re playing it small, and only need to house 50 to 60 pigeons, an effective garden loft needn’t contain more than three to four loft compartments of 2,5m x 1,8m. A 1,5m corridor running across the front interior will allow the pigeons to enter the individual compartments at leisure. Contact Thomas Smit on 011 680 4778, or e-mail at [email protected].